The first anniversary of Swift, which paralleled with WWDC (Worldwide Developers Conference 2015), was special in several aspects. Nikhil Juneja, Chief Technical Officer, Root Info Solutions tracks the improvement done with Swift 2.0. With the release of Swift 2.0, Apple's commitment towards making the technology swifter gets a boost. Of the various positive developments, one that was and is prudential is its announcement to release Swift as an open source programming language under an OSI-approved permissive license. Fortunately, without any delay, with the release of Swift 2.2 on December 3, 2015, the promise got delivered by Apple. Benefits of open source Swift? This, obviously, makes it accessible to a wider community of application developers and, hence, encourages expertise sharing to improve the language, making it more powerful, secure and easy-to-use, and ensures real-time support from experts to address any challenges. Here are some more reasons for Swift 2.0 developers and end-users to keep their fingers crossed. Continue reading. Swift 2.0 presents an effective error-handling engine that works in tandem with the Apple SDKs and NSError. This helps a Swift App Development to deliver quality products to their clients, which in turn elevates the user-experience. Crashing or freezing is a huge disappointment not just for users but also for the people behind, i.e., its application developers. Swift 2.0 addresses the challenge efficiently by eliminating entire classes of unsafe codes from the syntax. Variables, array, integers ? all aspect goes through a check before being finally implemented, and the memory management happens automatically to avoid any flaws. Developing platform-specific apps becomes easier with Swift 2.0. The Swift 2.0 compiler can easily identify the features that are not compatible with a target platform. It flashes an error when an older API is used. It not only identifies them but also gives a remedy. A software or application developer can add extensions to the standard library and use codes that are comprehendible for the older operating system. Swift 2 establishes a better connectivity with the Apple SDKs and the credit goes to its interoperability with Objective-C, and the latter's key features, viz., nullability annotations and generics. The SDKs have got a facelift too, to annotate API better. Top mobile application development companies are leveraging this liaison to develop cutting edge apps today, and also to revamp the applications that were developed in past using Objective-C i.e. much before the commencement of Swift language. Application development gets faster than before with Playgrounds. A developer can instantly check the result of the written coding in a graphical manner without moving from the dashboard. To have an overview of the entire set of code-lines, one may take help of Timeline Assistant feature. Once, the coding has been streamlined in the Playground panel, it can be moved to the project. Hope to see more refinements from Swift in the time to come. Stay tuned with us, we cover the latest, purest and simplest that can make technology more accessible to developers as well as consumers. 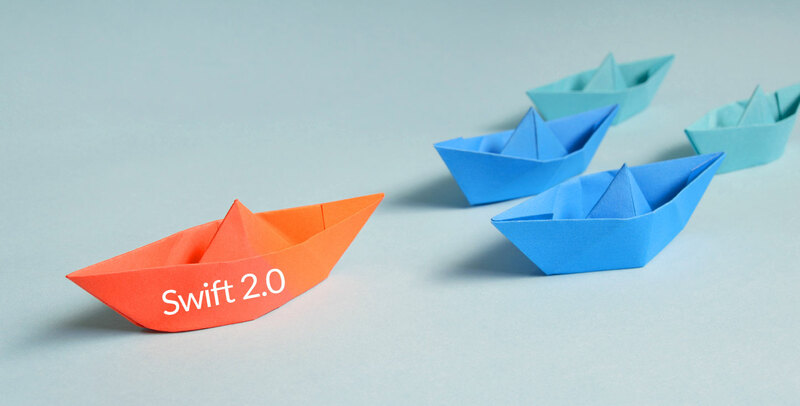 Interested in Swift 2.0 application development service? Feel free to get in touch with a consultant at Root Info Solutions. We don't just offer a service, rather, we make sure that it strategically addresses your challenges and gives your consumers a better and holistic experience.